I hope everyone is having a fantastic summer! I thought I'd do a personal post today. Keeping my little guy busy has been fun and challenging as we move through the middle of year two. 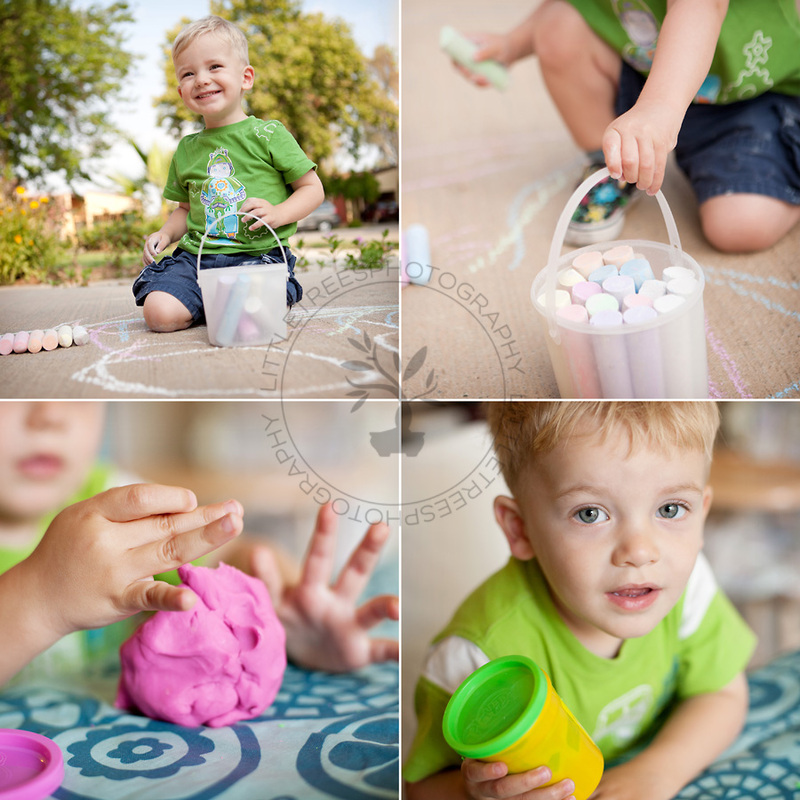 He's into everything, and it's amazing watching him with new craft materials and activities. I've been trying to capture all these little moments and wanted to throw out a tip for when you are trying to do the same. Get down on your child's level for some shots, and zoom in on those details! It adds interest to your set of photos, and it will help you remember the size of your child at that age and exactly what fascinated them about the activity or project. Stay cool, and snap away! Here's a snapshot of the entrance to our house with the high-gloss aluminum print. 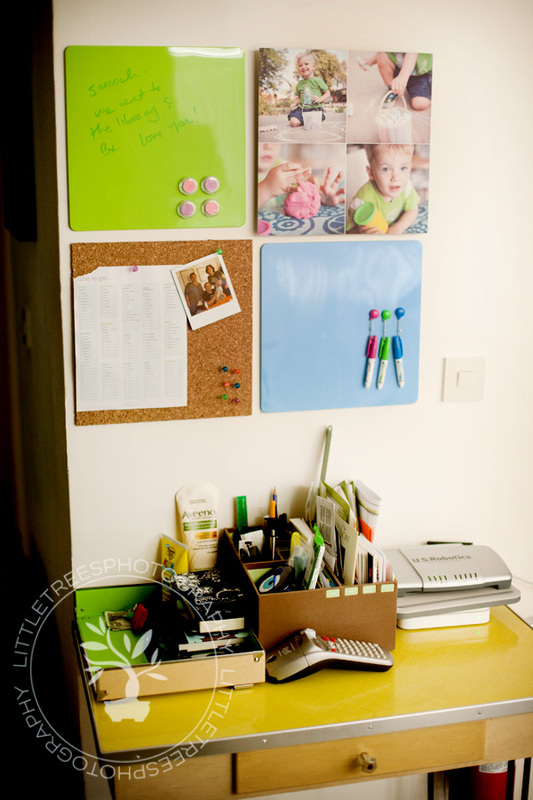 Self-stick dry-erase and cork squares from the Board Guys. I love how this turned out! Bonus - the metal print can be written on with dry-erase markers as well if you want to incorporate that into the design.